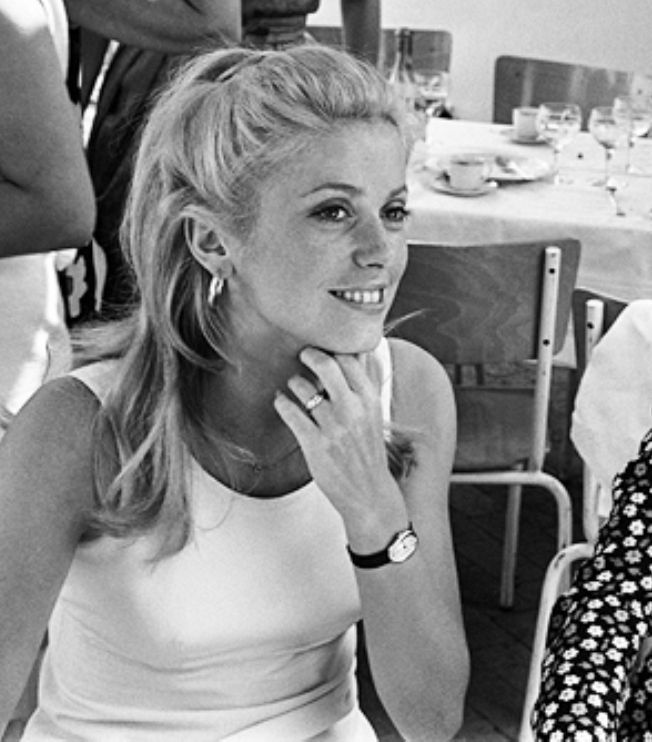 Ah, Catherine Deneuve. When I was a junior in college, I was studying in Florence, Italy and met a girl from San Diego who was a dead ringer for the young Catherine (very close to this). We had a torrid dating life of exactly one night because I had to go to Rome the next day. But even after 41 years, and very happily married for almost all of them to a beautiful woman I met the next year, I still remember her very well. Her name was Anita T.
If you ever saw this scene from Citizen Kane, you will know what I mean. My only disappointment with the lovely Anita is when we were sitting together in the evening on a park bench. No one else was around. The moon was almost full. It was a wonderful moment until she said, "I am glad to see the moon from the other side of the world from my home. I always wondered what the far side of the moon looks like." But trust me, I very quickly ignored her deficient knowledge of planetary mechanics. Every time I see the 'something wonderful' tag, I'm on it like chrome on a '50s bumper. And every time, they are indeed, wonderful. No exception here- Joe C. was always known for Woodstock & his other 'top 40s'; this is one not to be missed, but sadly, most have/will. Twenty-nine seconds, and an immediate sore throat. Hip or not, I can't listen to the growlers. Sorry. Always, all ways remember, or not, that what's forgotten is always available for getting again if necessary. So in all ways live as necessary, as best you can. And if you can't, do so any way. Paradox is better than nothing at all. For what's right, appropriate for the situation, sets the rule for that circumstance. Agree Rob. Never understood how that boy, and Rod Stewart, made a living off their voices.